Ever had to put a mom-guard near the treat table at one of your birthday parties? 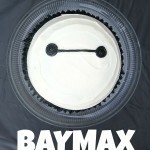 Make these treats and I guarantee you are going to need one! 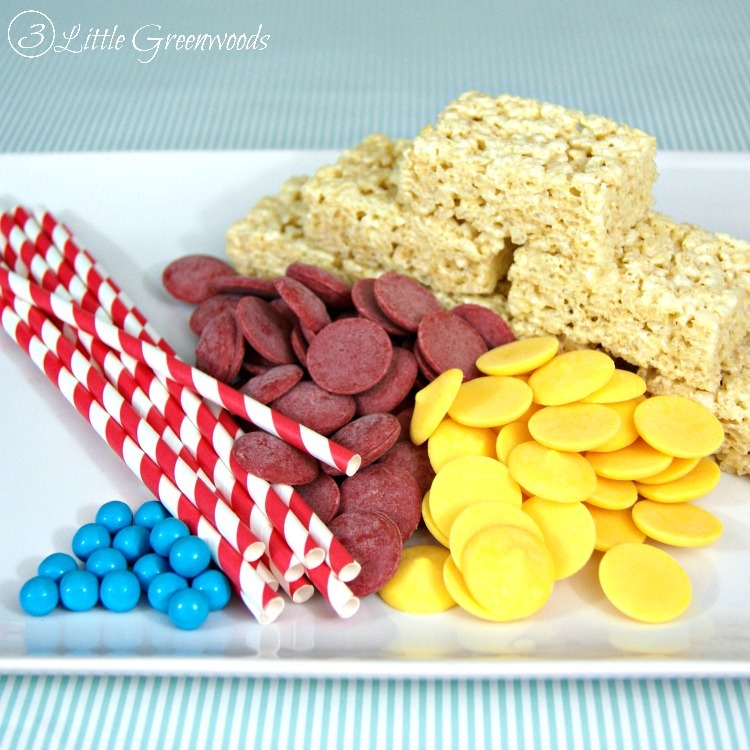 Fun and easy Iron Man Birthday Treats take just minutes to make and are fabulously scrumptious! 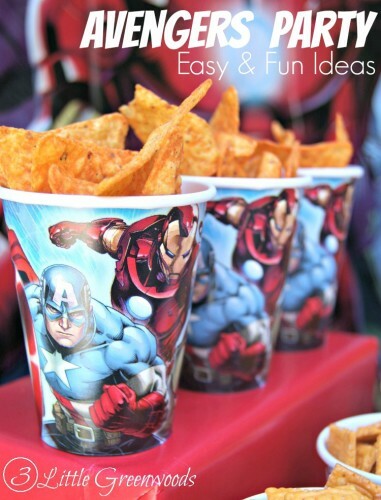 They were perfect for our Easy Avengers Party and were a huge hit with the children! I can’t wait to show you how I made these so you can be a Superhero Mom to your kiddos! 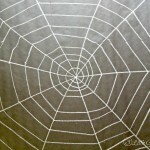 This post may contain affiliate links marked with an asterisk. Click here to see my full disclosure policy. 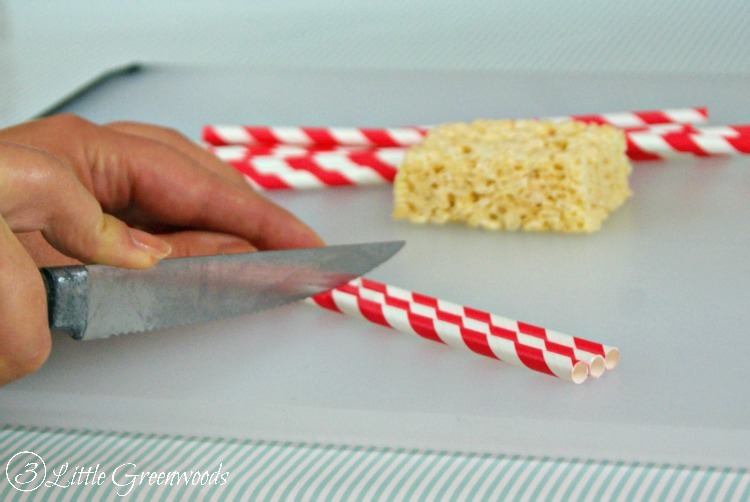 Begin by unwrapping each rice cereal treat then use a serrated kitchen knife to cut the paper straws in half. 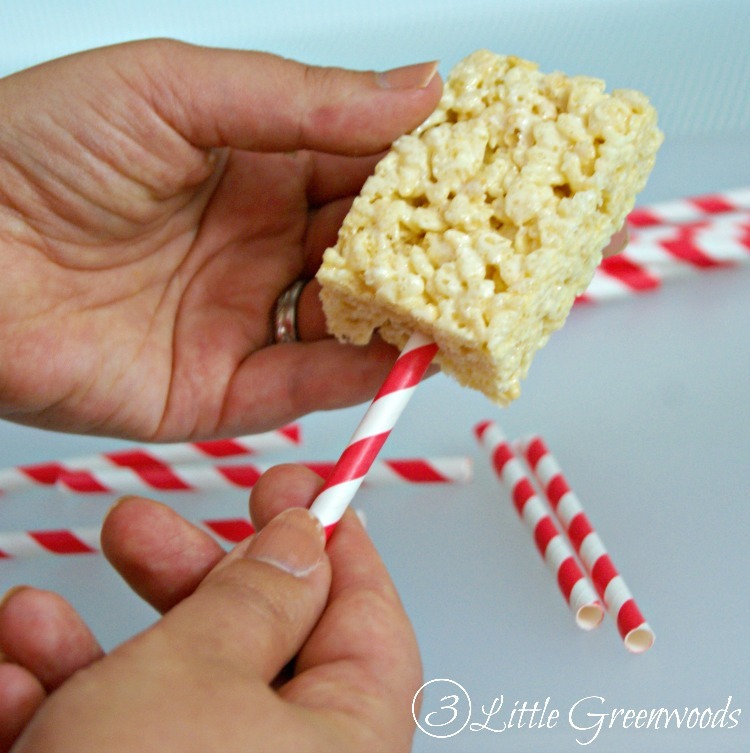 Add one straw stick into the bottom the rice cereal treat. 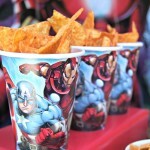 These will make a perfect holder for the party goers as they munch the Iron Man birthday treats. 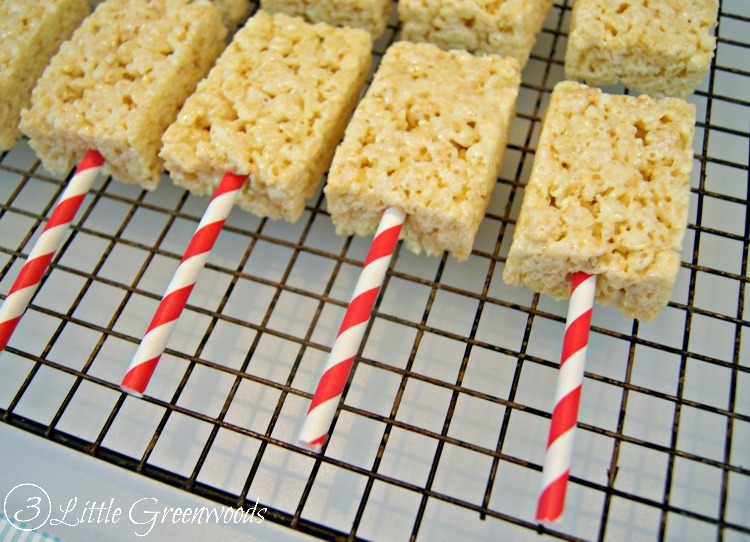 Tip: If the paper straws need a little help sticking into the rice cereal treat add a dab of melted candy melts to the tip before poking it in. Once all the handles are attached melt half a bag of Red Candy Melts* in the microwave. Follow manufacturer’s suggested cook times for melting the candy. 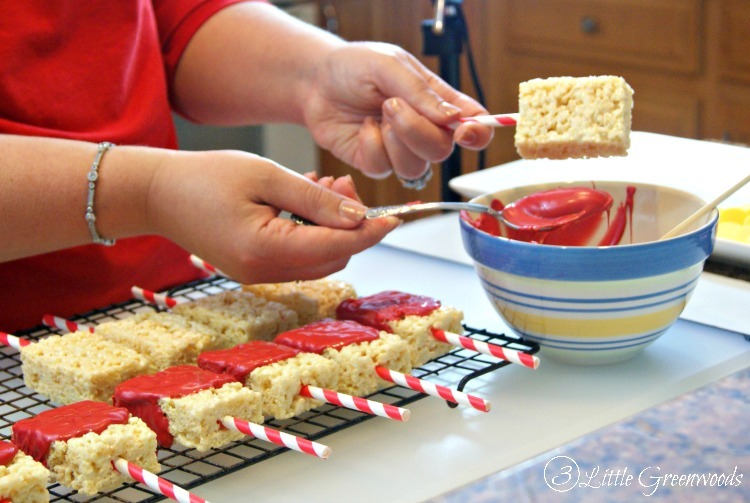 Carefully spread a layer of red candy melts on the front, sides, and tops on each treat. While the red candy cools melt a quarter of a bag of Yellow Candy Melts* in the microwave. Add the warm, melted yellow candy to a sandwich sized reusable baggie to create a homemade piping bag. Snip one small corner of the bag then add dime sized dollops of yellow candy melt to the center of each treat. Before the yellow candy cools add one Small Blue Candy Balls* to each. The little blue candy is Iron Man’s power source. I am not kidding when I said we placed a mom-guard near these Iron Man Birthday Treats. The children gobbled up these treats then came right back for more. My own boys didn’t even get to try one before they had vanished from the tray! 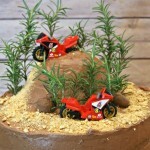 Don’t worry about my boys though, I will be making these birthday treats again soon just for them! Along with simple supplies and this easy to follow tutorial you can make your superhero’s day by making Iron Man Birthday Treats. 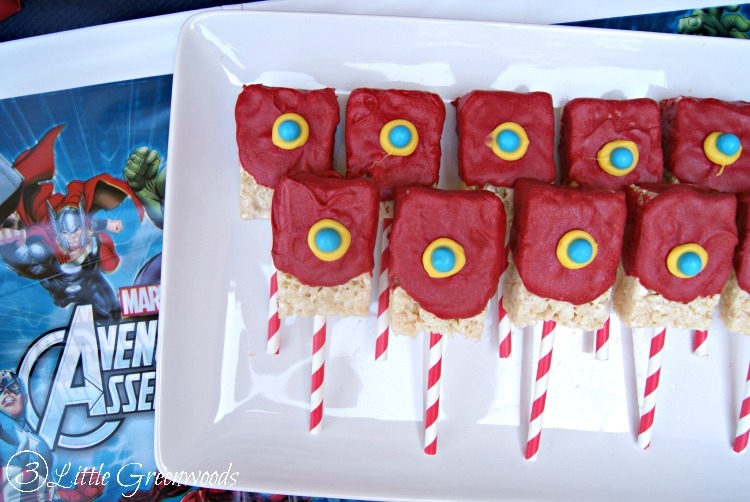 They are the perfect sweet treat for Avengers Birthday party planning! 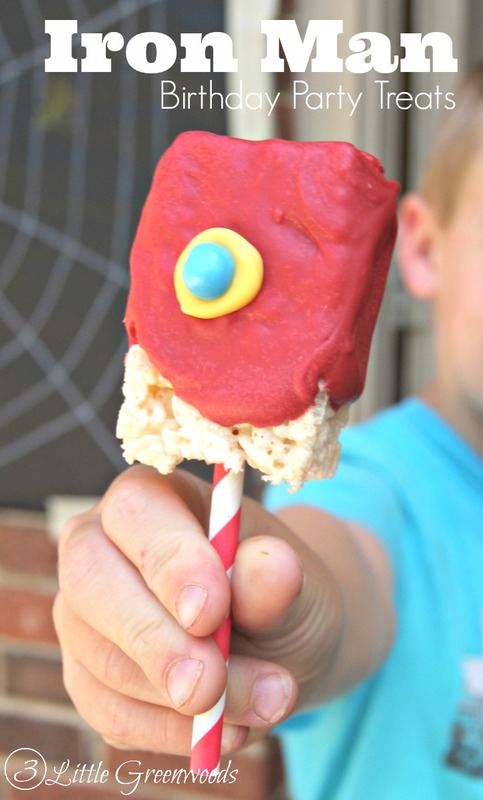 Love this DIY Iron Man Birthday Treat? 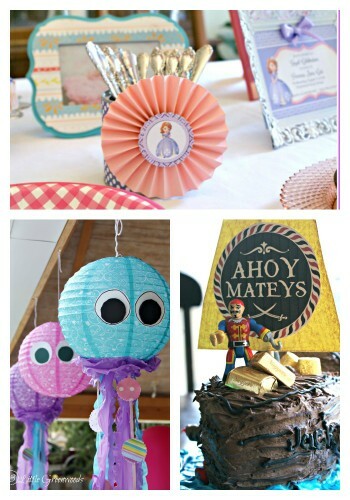 Then you have got to see all of the Easy Avengers Party Ideas to Make Party Planning a Snap! Click here to see all my Party Planning Tips and Tricks! My kiddos love this birthday treats! 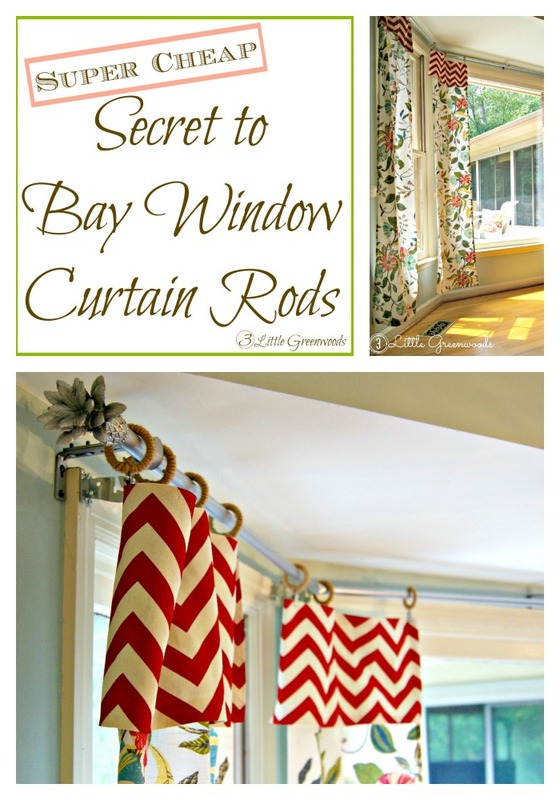 I love that they are quick and super easy to make! How fun!! My son would totally love this idea! 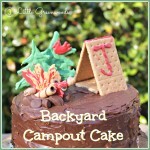 Don’t you just love easy and fabulous treats to make?! Those are the cutest Iron Man treats and I know the little super-hero loving guys in my life will love them! I’ll love them, too. We all loved the movie! My boys are dying to see the movie! And for me to make these treats again! Thanks so much for the share love, Sheila! These are the times I wish I had a boy! I have pinned this and maybe one day I will have a grandson.. hee hee.. Bet your girls would LOVE these treats too! Thanks so much for the comment love! 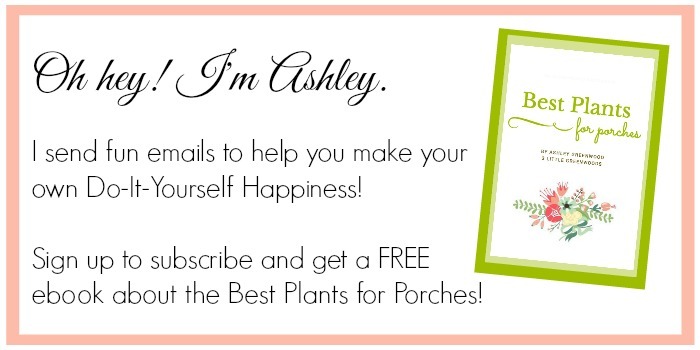 Ashley, you are always so creative and talented and inspire me as wedding and event designer/planner! How fun are these treats?! This is absolutely adorable and seriously who doesn’t like rice cereal treats? So cute and I bet they taste delicious too! 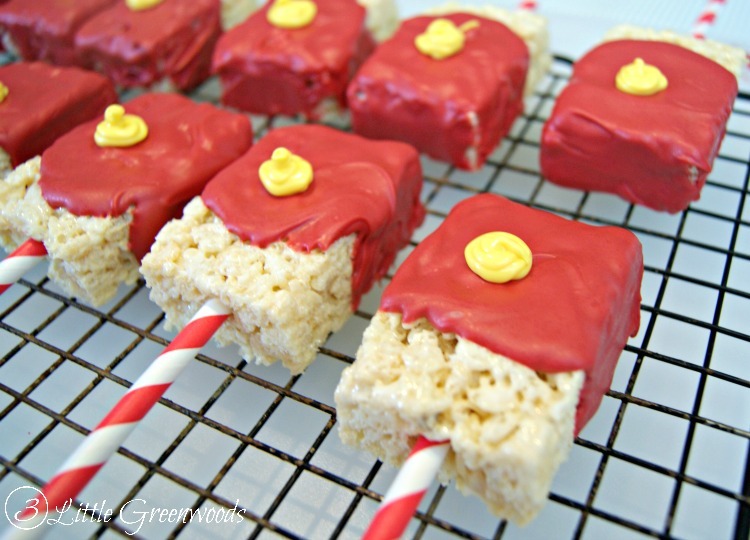 I never turn down a rice krispie ! Hi. 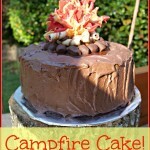 Is it possible to make this 2 days in advance and store it in an airtight container? Yes! I think these Iron Man treats would be great to make in advance. My children are still talking about these and I’ve promised to make some for them this summer. Enjoy! And thanks SO much for reading and asking the question!